a hungry man travels: Mon Dieu, it's back to school! Mon Dieu, it's back to school! We often hear plenty of stories about self-made men and women who forgo a higher education and hit the 'real-world' road to success in the workplace. And to them I say congratulations! For the rest of us however, we can't really rely on our less-than developed life skills to navigate the professional world. So what do we do instead? We put on our big-kid clothes and head out to be taught the fundamentals of life in colleges and universities. This September, as the kids head back to the classrooms and schoolyard to learn as much as they can about life, lets also give a warm hand to all the adults who are essentially doing the same thing - heading back to school. Adults that also include me. 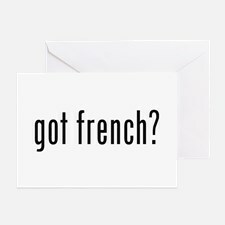 Yes, once again, the ever learning life of a hungry man now currently involves expanding his language skills by enrolling in the French Languages certification program at the University of Toronto. Heading back to the classroom after already obtaining my degree is not new territory for a hungry man. I have returned to the classroom in culinary management program to re-acquaint myself with the world of chefs and kitchens. I've hit the books once more to receive my public relations certification. But despite these achievements (or insanity depending on who you talk to), you may now be thinking, "really?" "Back to school?" "Again?" "Aren't your current educational achievements working for you?" I can honesty answer that with an uncertain yes, but at the moment it's not. So I am ready once more for another challenge - a shake-up so to speak, and learning a new language will definitely fulfill that need. I'll also add that it doesn't hurt to have a bilingual background in our increasingly global work world. But here's the deal - I'll admit that with this new educational cycle, I find myself increasingly nervous as the first day of classes approaches. My current French skills - other than a few choice phrases here and there, is quite - ok, severely limited. And I'll also admit to being somewhat older than when I first started to learn the language (I was eight years old! ), so I wonder just how this ahem 'older' brain is going to handle all this information received in a language that clearly isn't his mother tongue. Regardless of those fears, I am very eager to see where this will lead, and in preparation for this new journey I've already began to practice and memorize my new motto: "C’est en forgeant qu’on devient forgeron" - translation: we learn by doing (including making mistakes)! And remember to keep checking the blog as I get deeper in the course - à la prochaine!